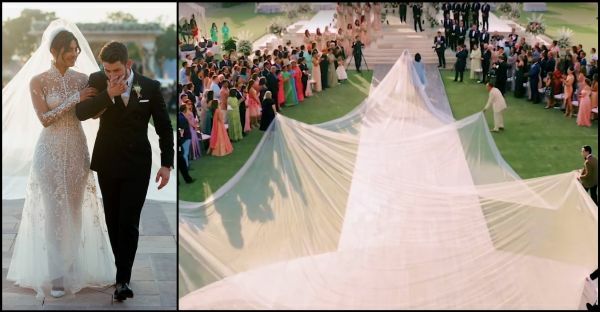 ALL PICS: Priyanka's Bridal Gown Was A Naked Dress With A 75 Foot-Long Veil & *Sob Sob*! 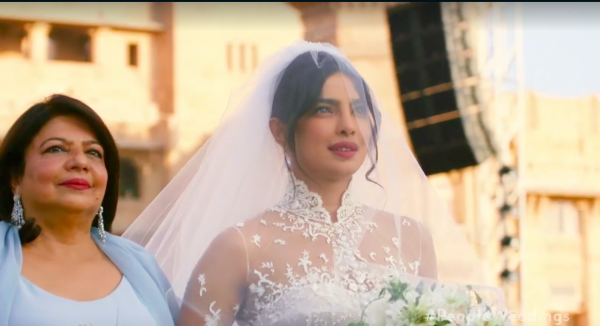 After People Magazine, Priyanka Chopra and Nick Jonas shared their official wedding pictures from both the Indian as well as the western ceremonies and here we are, searching for wedding venues - with no groom in sight. 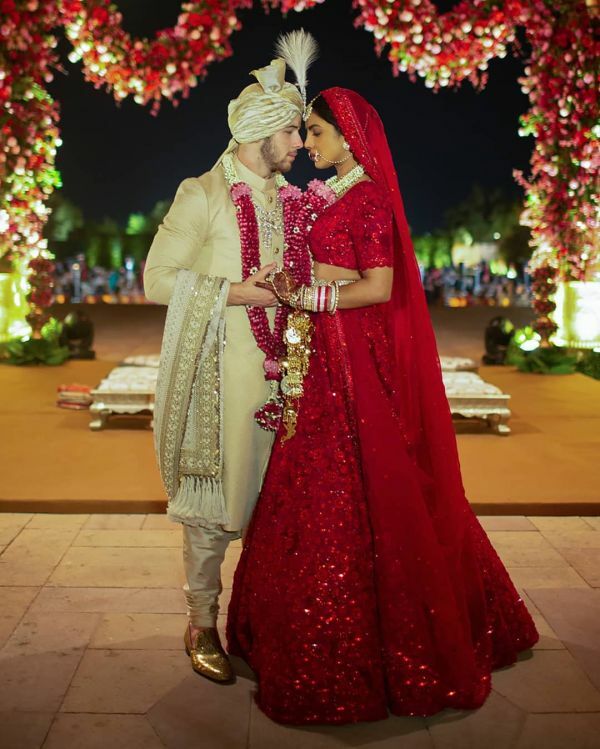 TBH, we were expecting Priyanka to wear her favourite couturiers, Abu Jani Sandeep Khosla for the Indian wedding but the actress surprised us as a Sabyasachi bride dressed in head-to-toe red with no second colour in sight. 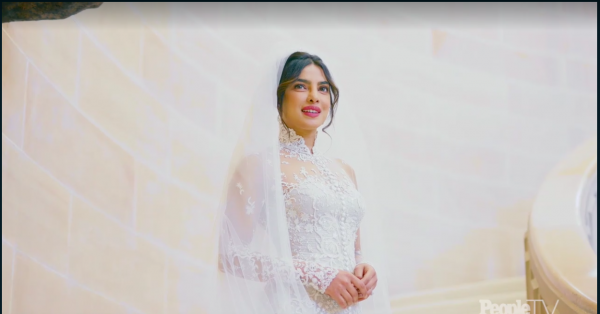 As tradition dictates, for the western wedding, PC wore an all-white wedding gown designed by none other than Ralph Lauren and, we swear, we haven't seen a more beautiful bride ever. 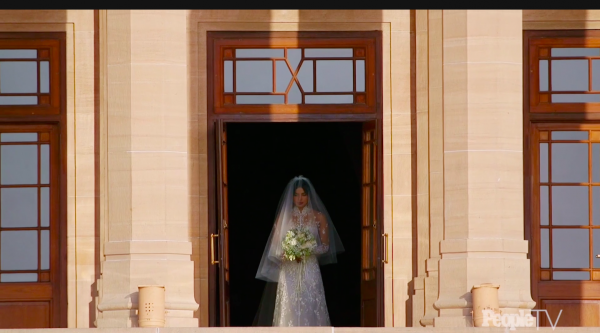 From her gorgeous gown to her flawless makeup, we are fans of everything. 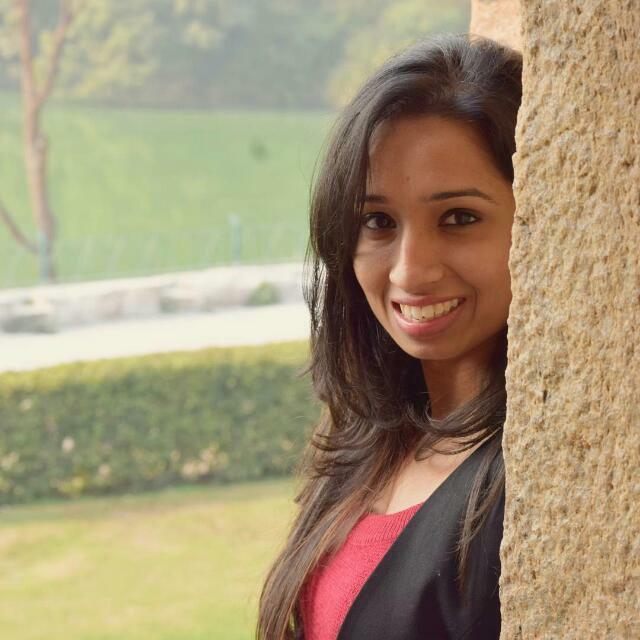 Have a look at her picture and you won't need another second to agree with us. 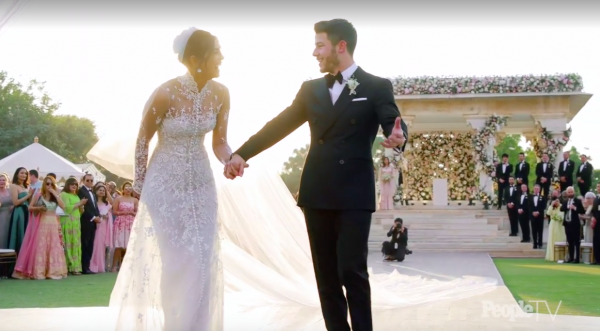 Priyanka Chopra and Nick Jonas were married wearing custom Ralph Lauren. 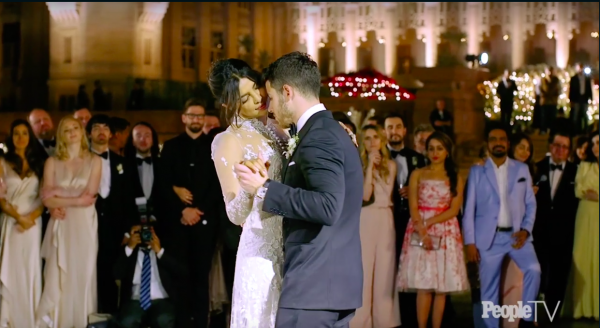 While PC wore a heavily embroidered sheer naked dress, Nick wore a classic tuxedo. 1. 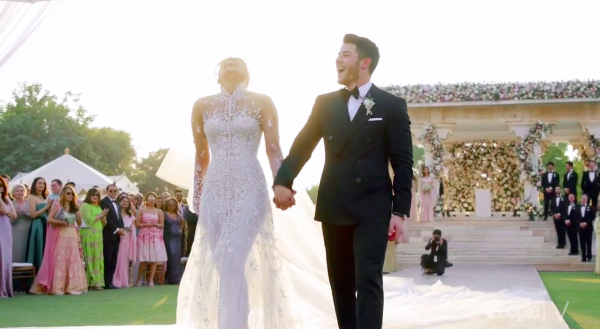 The embroidery on her gown has eight significant words and phrases including Nick's full name (Nicholas Jerry Jonas), the names of her parents (Madhu and Ashok), the words 'Family, 'Hope', 'Compassion' as well as the couple's wedding date - all selected by Priyanka herself. 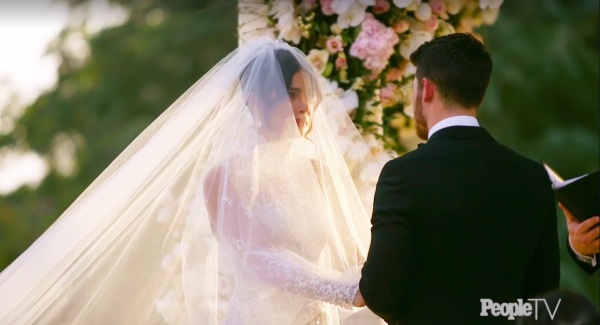 In fact, to add to the familial sentiment, PC had a piece of lace from her mother-in-law's wedding dress sewn into her gown. 2. 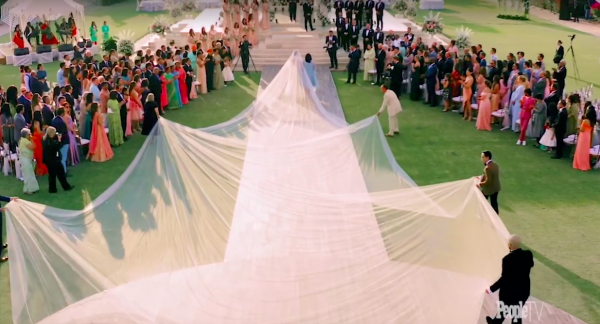 Her wedding veil was a whopping 75 feet long! No, we are not kidding. 3. 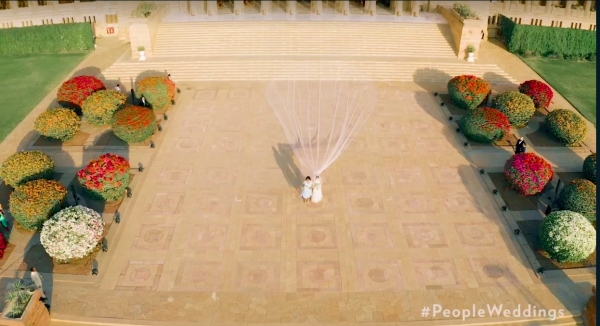 It took 1,826 hours to make the dress. We bet, you didn't know this. 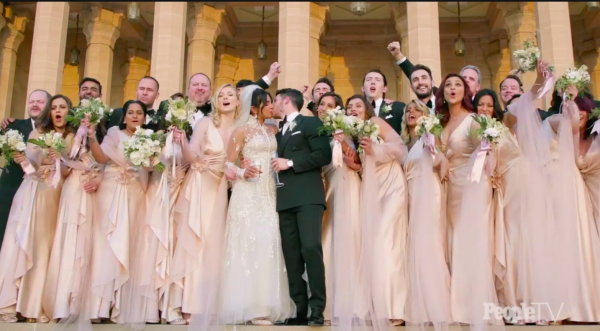 Here are more pictures from the Nickyanka wedding that you might have missed during your Instagram stalking of the newlyweds. WARNING: You will need tissues...so be prepared. She looks oh-so-breathtaking, doesn't she? 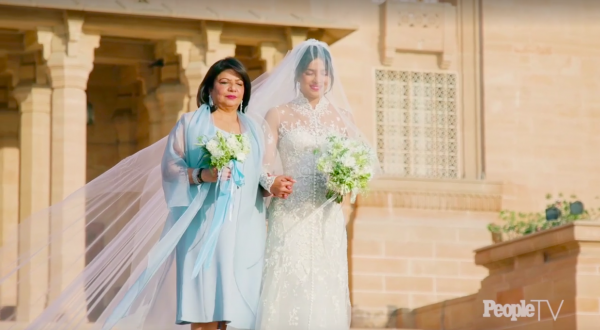 Priyanka walked down the aisle with her mother, Madhu Chopra. Is it just me or does this picture tear you up too? We are not crying. You are crying. Shut up, okay? We are in love with our current view. Holy mother of everything that is sweet and pure! What a beautiful scene of the couple at the wedding altar. Wait, there's more. Ugh, can you not, please? 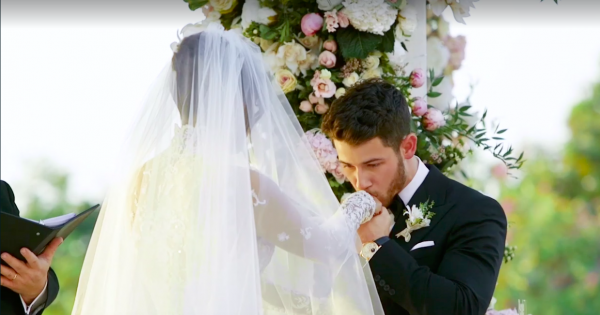 This candid shot of PC and Nick right after their wedding has us reaching for tissues. This picture of their first kiss is too precious to be true, don't you think? 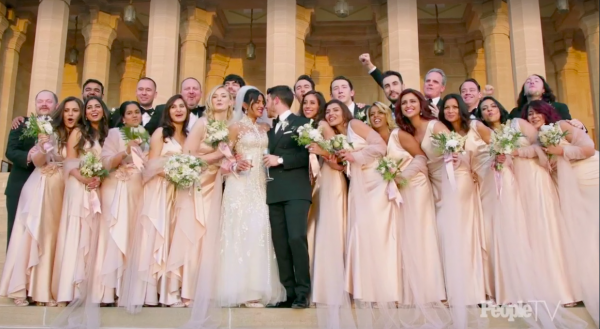 And look at all the happy bridesmaids. Just wow! 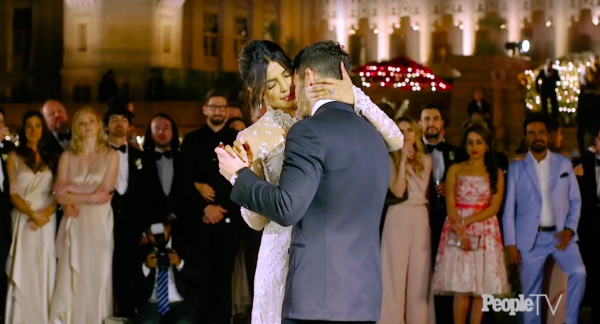 Their first dance as a married couple looks just as great as we had imagined it to be. Let me just go and double tap on their images for the 100th time.